Explore new ways to watercolor! No matter what inks or other coloring tools you have on hand, chances are you have just what you need to create a beautiful watercolor for your cards. Discover how in Watercolor for Card Makers: Exploring Mediums! Explore new ways to watercolor! Join us for an ALL NEW watercolor class! Join instructors Kristina Werner, Jennifer McGuire, and Jennifer Rzasa—plus special guest artists—on an exploration of new and inspiring ways to watercolor… no matter what medium you have on hand. Whether you’re new to watercolors or have taken our previous Watercolor for Card Makers course, this mini class is a can’t-miss for technique lovers! From traditional paints to markers to pencils and crayons, you’ll learn tips for using each medium with beautiful results. 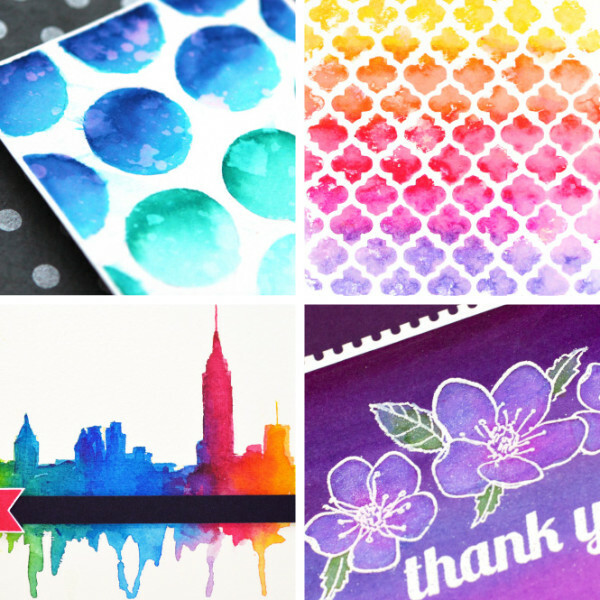 Plus, we’ll inspire you to transform your watercolors into gorgeous cards! 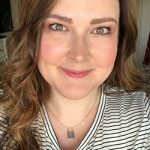 We’ll also be addressing some specific questions from students of our first Watercolor for Card Makers class, including tips for creating “dreamy” and ombré backgrounds, avoiding “muddy messes”, replicating the no-line watercoloring technique, and so much more! NOTE: Further instruction on supplies are provided to students after registering.